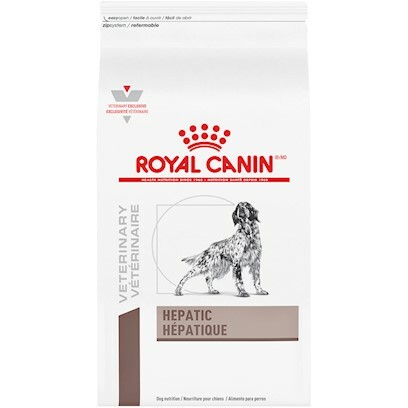 ROYAL CANIN VETERINARY DIET canine HEPATIC dry is intended for intermittent or supplemental feeding only as part of a veterinary-supervised program. Feeding duration varies depending on the pathology and on the regenerative ability of the hepatic tissue. Lifetime feeding may be necessary in case of chronic disease. In order to decrease the postprandial hepatic load, it is recommended to divide the daily feeding amount into several small meals.